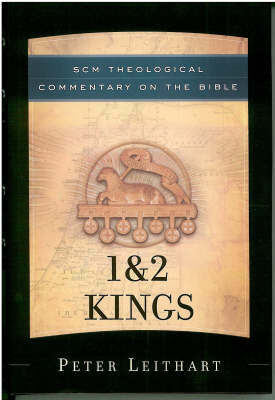 Amongst the titles in our summer sale this year are a number from the The SCM Theological Commentaries on the Bible series. 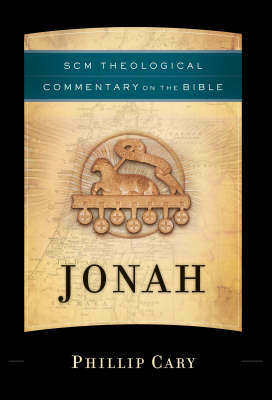 The commentaries enlist leading theologians to read and interpret Scripture for the twenty-first century, just as the church fathers, the Reformers, and other orthodox Christians did for their times and places. Here’s an introduction to the series, by the general editor R.R. Reno. The Hebrew said that the whole divinely inspired Scripture may be likened, because of its obscurity, to many locked rooms in our house. By each room is placed a key, but not the one that corresponds to it, so that the keys are scattered about beside the rooms, none of them matching the room by which it is placed. It is a difficult task to find the keys and match them to the rooms that they can open. We therefore know the Scriptures that are obscure only by taking the points of departure for understanding them from another place because they have their interpretive principle scattered among them. As is the case for Irenaeus, scriptural interpretation is not purely local. The key in Genesis may best fit the door of Isaiah, which in turn opens up the meaning of Matthew. The mosaic must be put together with an eye toward the overall plan. Irenaeus, Origen, and the great cloud of premodern biblical interpreters assumed that puzzling out the mosaic of Scripture must be a communal project. The Bible is vast, heterogeneous, full of confusing passages and obscure words, and difficult to understand. Only a fool would imagine that he or she could work out solutions alone. The way forward must rely upon a tradition of reading that Irenaeus reports has been passed on as the rule or canon of truth that functions as a confession of faith. “Anyone,” he says, “who keeps unchangeable in himself the rule of truth received through baptism will recognize the names and sayings and parables of the scriptures.” Modern scholars debate the content of the rule on which Irenaeus relies and commends, not the least because the terms and formulations Irenaeus himself uses shift and slide. Nonetheless, Irenaeus assumes that there is a body of apostolic doctrine sustained by a tradition of teaching in the church. 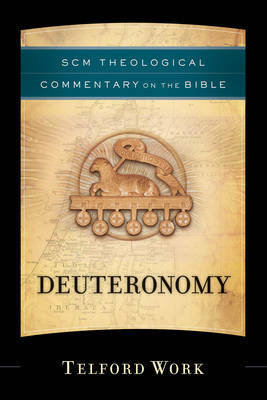 This doctrine provides the clarifying principles that guide exegetical judgment toward a coherent overall reading of Scripture as a unified witness. Doctrine, then, is the schematic drawing that will allow the reader to organize the vast heterogeneity of the words, images, and stories of the Bible into a readable, coherent whole. It is the rule that guides us toward the proper matching of keys to doors. If self-consciousness about the role of history in shaping human consciousness makes modern historical-critical study critical, then what makes modern study of the Bible modern is the consensus that classical Christian doctrine distorts interpretive understanding. Benjamin Jowett, the influential nineteenth-century English classical scholar, is representative. In his programmatic essay “On the Interpretation of Scripture,” he exhorts the biblical reader to disengage from doctrine and break its hold over the interpretive imagination. “The simple words of that book,” writes Jowett of the modern reader, “he tries to preserve absolutely pure from the refinements or distinctions of later times.” The modern interpreter wishes to “clear away the remains of dogmas, systems, controversies, which are encrusted upon” the words of Scripture. The disciplines of close philological analysis “would enable us to separate the elements of doctrine and tradition with which the meaning of Scripture is encumbered in our own day.” The lens of understanding must be wiped clear of the hazy and distorting film of doctrine. Postmodernity, in turn, has encouraged us to criticize the critics. Jowett imagined that when he wiped away doctrine he would encounter the biblical text in its purity and uncover what he called “the original spirit and intention of the authors.” We are not now so sanguine, and the postmodern mind thinks interpretive frameworks inevitable. Nonetheless, we tend to remain modern in at least one sense. We read Athanasius and think him stage-managing the diversity of Scripture to support his positions against the Arians. We read Bernard of Clairvaux and assume that his monastic ideals structure his reading of the Song of Songs. In the wake of the Reformation, we can see how the doctrinal divisions of the time shaped biblical interpretation. Luther famously described the Epistle of James as a “strawy letter,” for, as he said, “it has nothing of the nature of the Gospel about it.” In these and many other instances, often written in the heat of ecclesiastical controversy or out of the passion of ascetic commitment, we tend to think Jowett correct: doctrine is a distorting film on the lens of understanding. However, is what we commonly think actually the case? Are readers naturally perceptive? Do we have an unblemished, reliable aptitude for the divine? Have we no need for disciplines of vision? Do our attention and judgment need to be trained, especially as we seek to read Scripture as the living word of God? According to Augustine, we all struggle to journey toward God, who is our rest and peace. Yet our vision is darkened and the fetters of worldly habit corrupt our judgment. We need training and instruction in order to cleanse our minds so that we might find our way toward God. To this end, “the whole temporal dispensation was made by divine Providence for our salvation.” The covenant with Israel, the coming of Christ, the gathering of the nations into the church—all these things are gathered up into the rule of faith, and they guide the vision and form of the soul toward the end of fellowship with God. In Augustine’s view, the reading of Scripture both contributes to and benefits from this divine pedagogy. With countless variations in both exegetical conclusions and theological frameworks, the same pedagogy of a doctrinally ruled reading of Scripture characterizes the broad sweep of the Christian tradition from Gregory the Great through Bernard and Bonaventure, continuing across Reformation differences in both John Calvin and Cornelius Lapide, Patrick Henry and Bishop Bossuet, and on to more recent figures such as Karl Barth and Hans Urs von Balthasar. 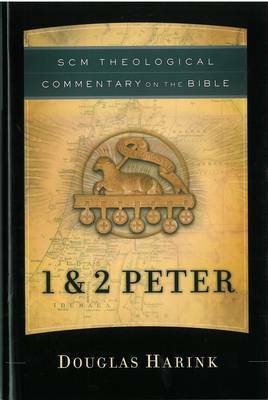 This series of biblical commentaries was born out of the conviction that dogma clarifies rather than obscures. It advances upon the assumption that the Nicene tradition, in all its diversity and controversy, provides the proper basis for the interpretation of the Bible as Christian Scripture. God the Father Almighty, who sends his only begotten Son to die for us and for our salvation and who raises the crucified Son in the power of the Holy Spirit so that the baptized may be joined in one body—faith in this God with this vocation of love for the world is the lens through which to view the heterogeneity and particularity of the biblical texts. Doctrine, then, is not a moldering scrim of antique prejudice obscuring the meaning of the Bible. It is a crucial aspect of the divine pedagogy, a clarifying agent for our minds fogged by self-deceptions, a challenge to our languid intellectual apathy that will too often rest in false truisms and the easy spiritual nostrums of the present age rather than search more deeply and widely for the dispersed keys to the many doors of Scripture. The Parish: What Kind of Place is It? As part of our series in the run-up to our event on 9th October – “The Parish: Has it Had its Day” – here’s an extract from the introduction to Parish: An Anglican Theology of Place, by Andrew Rumsey. Andrew is the Rector of Oxted and will be contributing to the discussion on the 9th October as an ‘expert witness’. The parish system wasn’t the first or only form of regional church organization in Britain, but once established it became the pre-eminent model of communal ‘belonging’ for on a thousand years: ‘the basic territorial unit in the organization of this country’, as one historian has labelled it. Nevertheless, it remains an enigmatic theme, especially in an era when ‘ parochial’ is commonly used as a byword for blinkeredTHE PARISH_V3 insularity. With the parish system strained to breaking point and its relevance to society increasingly questioned, there is a pressing need to rediscover the principles that shaped it – not least because of an ever-growing political and environmental momentum to find resilient and fertile kinds of common life. The parish has always reinvented itself: no place could be so influential, for so long, without doing so. And while by no means the only description of English locality – parish has always vied and overlapped with towns, wards, ‘vills’ and various other forms – it has been an unrivalled building block of neighbourhood, uniquely combining religious meaning with local identity. As Oliver Rackham puts it in his History of the Countryside, parish is singular in being ‘the smallest unit of spiritual and secular geography’. This blend has always intrigued me. Raised in a rectory, I have instinctively viewed places in this way – as both spiritual and secular – and it has long been my vocation to live as though they were. For places are, I suggest, imagined first and then enacted: how we behave in a particular locale depends largely on what kind of place we believe it to be. Undergirding this book is faith in a spiritual tradition that exists as one among many currently practised in this country, each exerting a distinctive influence upon the social landscape. However, in both historical and geographical terms, the Church of England is not just another stakeholder, even as it rightly adjusts to a new and humbler role in national life. Any accurate realignment of its contemporary ‘place’ is not served by ignorance about the Church’s remarkable formative influence, over many centuries. As the source for much of that influence, the parish’s standing is in a sense plain – one author going so far as to call it ‘the bedrock of European civilization as a whole’. But while the English, specifically Anglican, parish (varying types of parochial organization having spanned Christendom) is uniquely embedded in national culture, by virtue both of its antiquity and close allegiance with secular governance, its social and theological significance has hitherto been given remarkably scant consideration. This is partly because, while ecclesiastical history has long formed a pillar of academic training for ordained ministry, ecclesiastical geography has not – even though parish ministry is, by definition, geographical. Unsurprising, then, that contemporary church debate about locality tends to be geographically denuded: a shortcoming, which in turn ‘thins out’ a theological appreciation of parochial ministry. If geography is seen as theologically neutral, the parish system clearly risks being similarly undervalued. At a time when its viability is increasingly questioned within the Church of England and with plans progressing for the Church in Wales’ dismantling of parochial (though not local) ministry, there is considerable and urgent need for redress. This book has, therefore, a particular and pressing purpose, which is to explain the pastoral or theological geography of the Anglican parish – in effect, to begin answering the question what kind of place is it? In doing so, one is struck immediately by the diversity of the subject: each parish being as unique as its grid reference. Some are almost as large as dioceses, covering huge tracts of moorland; some have boundaries as arbitrary and baffling as in an imperial land grab; others are self-contained and perfectly circle their communities. This has always been the case – and, clearly, the parish ‘took’ in some places more than in others, because of the natural terrain, or the vitality of other communal forms. Nevertheless, there is much common ground – indeed, this phrase recurs as a way of describing the effect of the parish system in general, even when its specific features vary greatly. It must be acknowledged from the outset that the English parish has by no means had only a benign impact: often compromised – cruel, even – as an arm of the nascent nation state; ponderous and resistant to change, a straitjacket for church growth in some places. Any of its past and future value must face these failings evenly. It is by no means the only way for Christians to view social space: neither, given her global Communion, need it be Anglicanism’s pre-eminent parochial mode. But it is one expression – and, I shall suggest, the local form that has had the most enduring effect upon this nation’s self-understanding. Just as the nineteenth-century radical William Cobbett confessed, I am committed to the Church of England partly because ‘it bears the name of my country’. ‘England’ is of course a heavily freighted word and groans with a burden of associations, some of which are as troublesome as those evoked by ‘parish’. This is unavoidable, but it is vital that the Church reckons with its English calling, not least so that the idea of England may be reclaimed for all who live there and that fruitful relations may be grown with neighbours who do not. The Churches of Scotland and Ireland maintain a parish system and, although it is hoped that the insights gained here are applicable in other provinces, nations and denominations, this book is intentionally English in its scope and concerns. It must also be admitted that the Church – especially the worshipping congregation – can seem oddly absent in what follows. Little space is given to liturgy, the sacraments, evangelism or many other familiar ingredients of parish ministry. All this has consciously been avoided, partly because it is the common theme of pastoral studies, the theological (and, to a degree, spatial) dynamics of which have been ably considered elsewhere but mainly these are blurred because my focus is fixed on the geographical parish, which is somewhat harder to see. That said, the mission of the local church – especially its symbolic tokens of parish priest and parish church – is conspicuously, if implicitly, present in what follows. The book is an attempt to describe how ‘place’ looks when viewed from the parish church and not vice versa: if the Church is obscured from where I am standing, this is only because I have my back to its door. Nor, it may be added, is this study a direct engagement in the importunate questions regarding the future of the parish system. These form its horizon and will be surveyed in outline in the concluding chapter, but the foreground to be covered here is the territory on which Anglican ministry has long been practised, but rarely delved into. To some extent, this marks a response to the question of ‘what’s in a word?’ What are the distinctive connotations and associations of ‘parish’ – what does it mean? As such, this must be acknowledged to be a highly personal description. Coming from a long family line of parish priests, stretching back nearly 200 years, the parochial inheritance is of more than professional or academic interest: I am seeking definition for a place that is, at heart, intuitively perceived. While my priestly forebears all practised from within the Anglo-Catholic tradition, my own formation has largely been within the evangelical wing of the Church. Recognizing that the greater part of contemporary theological scholarship about place follows a more sacramental path, it was also curiously apparent that many of the more interesting doctrinal considerations of space and time came, by contrast, from theologians in the reformed tradition. The doctrinal sections in Part One of the book reflect this, being an attempt to employ their thought as a lens through which to view the parish. In order to develop an Anglican theology of place, then, I shall be enlisting some distinctly non-Anglican thinkers. The rector, currently, of four parishes in the south-eastern corner of the Anglican Diocese of Southwark, I have spent 20 years in parochial ministry, the majority of which has been in urban or suburban contexts – beginning in Harrow in northwest London, and then for ten years as vicar of Gipsy Hill in the London Borough of Lambeth. This research commenced during that time, when I began to appreciate the effect upon parish life of both natural ecology and built environment, and was further informed by moving to the more rural setting described at various points in what follows. With the M2 motorway cutting like a river through my parishes, London looms large in these reflections; the tension between urban and rural has been profoundly felt and is expressed in the concluding sections on nostalgia and the ‘pastoral’. In this year’s festival you can hear two top SCM Press authors of 2017. If you follow this blog regularly, it won’t have escaped your notice that we published Andrew Rumsey’s new book Parish: An Anglican Theology of Place this year. In a recent review, the Church Times described it as ‘remarkably learned and imaginative’. On Sunday 27th at Greenbelt, Andrew will be discussing ‘Place’. As political and environmental debate increasingly links the global to the local, Andrew will ask has the parish’s time come again? Then on Monday 28th at 11am, Andrew will be considering the notion of ‘English Pastoral’. With nationalism of all kinds on the rise, what future for ‘Little England’? Might xenophobia and extremism be counteracted by a more pastoral patriotism, relocating our ‘longing for home’ in a Christian vision for land and locality? A few months ago we caught up with Andrew and asked him to unpack his book a bit for us. In case you missed it, here’s the video. Andrew Rumsey is Rector of the Oxted Team Ministry in Southwark Diocese, and moonlights as a songwriter and musician with South London band The Effras. Find out more about his appearances at Greenbelt here. Also featured at Greenbelt this year is Justin Thacker, author of Global Poverty: A Theological Guide . In the book, Justin seeks to offer theologically-rooted answers to questions around the effect of capitalism on global poverty and whether aid is really a sustainable long term solution for the world’s poor. On Saturday 26th at Greenbelt he’ll be engaged in conversation as a ‘critical friend’ of Christian Aid, discussing how and why he finds the organisation’s theology of development lacking. Then on Monday 28th at 12:30 Justin will be speaking offering a talk entitled ‘Global Poverty: From Charity to Justice’, in which he’ll suggest that the focus of poverty alleviation needs to shift from charity to justice, and in the process address the root causes of poverty found in our global economic structures. How well fitted are the current practices of the Church to the present generation? In the run up to our Moral Maze-style panel event The Parish: Has it Had its Day? on 9th October, we’re offering extracts, comment and interviews from some of the participants who’ll be joining us at the event. Today, we give you an extract from Fresh! 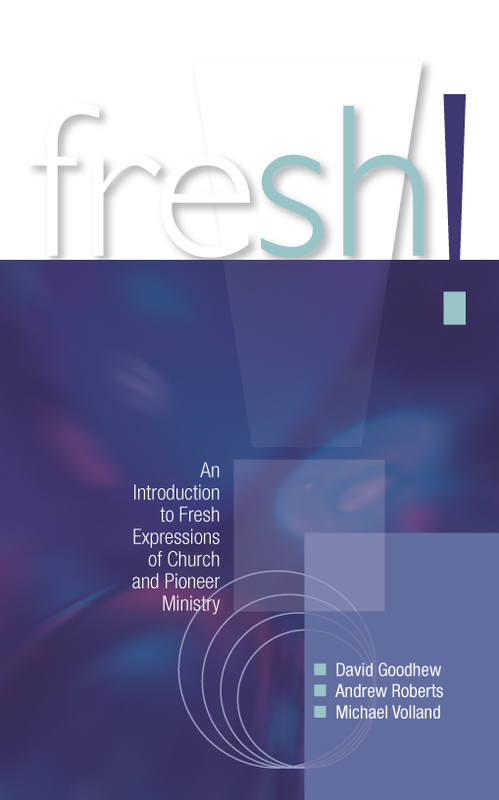 : An Introduction to Fresh Expressions of Church and Pioneer Ministry by Andrew Roberts, Michael Volland, and David Goodhew. Dr Goodhew, Director of Ministerial Practice at Cranmer Hall, St John’s College in Durham, also runs the Centre for Church Growth Research. He is also the author of numerous academic studies investigating where growth can be found in the Church. Along with parish priest Andrew Rumsey, Professor Alison Milbank and Pioneer minister Andy Milne, he will be contributing as an “expert witness” during the evening in October. The Christian tradition is a tradition of mission. How does that relate to such a time as this? How well fitted are the current practices of the Church to the present generation? Is this a world that has so changed that radical changes in church practice are needed – or is it a world in which tried and tested forms of Church are the best response? Chapter 1 asserted that the pioneering of fresh expressions of Church is central to the Christian tradition. This chapter, based on the latest academic research, will assert that such pioneering activity is central to addressing the context of contemporary Britain. The contemporary Church in England has responded to its context broadly in one of two ways, encapsulated in two documents: the 2004 report of the Archbishops’ Council, Mission-Shaped Church, and a widely read riposte, For the Parish, by Andrew Davison and Alison Milbank. Mission-Shaped Church (MSC) has been the most prominent voice among a series of calls within the churches for creation of new forms of Church to connect with the large swathes of the population who show little or no inclination to connect with the existing forms. The report recognizes the value of the latter but says that they are in themselves insufficient for the task of Christian mission. Andrew Davison and Alison Milbank, in For the Parish, have led the response that the ‘traditional’ parish is in robust health – and that stressing ‘fresh expressions’ is a mistake; that fresh expressions/church plants/pioneer ministry are, in significant measure, a harmful distraction from parish ministry. For such thinkers, it ain’t broke, so we shouldn’t fix it. Explaining why churches grow or shrink is like bottling a sunbeam. There are no neat answers. The sociological and spiritual causes of growth and decline are multiple and complex. However, there is a large amount of good research, and while we cannot give a simple explanation, we can say a good deal. This chapter draws on a wide range of research on faith in contemporary Britain, much of it little known. It concludes that both MSC and For the Parish are partly right and partly wrong. Callum Brown wrote a highly influential study of British Christianity entitled The Death of Christian Britain. The battery of statistics and anecdotes Brown assembled have significant force – up to a point. There is substantial evidence that the mainline denominations have suffered deep decline in recent decades. There is debate about precisely when that decline began, but academic writers are clear that during the 1960s the curve of decline markedly steepened. There was a 50 per cent drop in Anglican Easter communicants during the twentieth century. Sunday School across the churches enrolment declined from around 50 per cent of the population to around 10 per cent during the century. The rate of baptisms per 1,000 live births declined from around 600 per 1,000 in 1900 to just over 200 in the year 2000. Brown’s thesis is backed by other studies. Hugh McLeod shows that while in 1961, 94 per cent of Sheffield University students claimed a religious upbringing, in 1985 the figure was 51 per cent. A recent survey of Oxford University students suggests that over half see themselves as atheist/agnostic. The 2011 census data about religion is still being analysed, but it indicates a further marked secularization during the last decade. Those who regard themselves as ‘Christian’ constitute 55 per cent of the population in 2011 – down from 72 per cent in 2001. Even more seriously, only 38 per cent of those aged 18 to 34 described themselves as Christian – for young adults in Britain, Christianity is now clearly a minority faith. Steve Bruce takes the evidence Brown offers and pushes it further. Brown sees secularization as specific to the experience of late-twentieth-century Britain. Bruce sees secularization as intrinsic to modern Western society as a whole. For Bruce, the churches in the modern West – and even God himself – are doomed. Bruce marshals a battery of statistics that convincingly show that most mainline denominations in Britain, taken overall, have been in serious decline for decades. Thus it is clear that the United Reformed Church (URC), whose decline has been particularly severe, will shrink to a few thousand people by 2030 unless there is a profound change of direction. The Methodist Church has significantly shrunk in recent decades and is now much smaller than the Pentecostal churches, whom it dwarfed 30 years ago. The Anglican Church varies. In many areas it is declining just as steeply, but not in all. Anglican dioceses in the north of England declined between 1989 and 2009 by an average of 30 per cent. The best-performing diocese declined by just under 20 per cent, the worst by almost 40 per cent. However, some Anglican dioceses are declining by a much smaller amount and one, London, has seen sustained growth over this period. Secularization has occurred in the form of the shrinkage of some churches and the loss of belief by some individuals, but also on a societal level. The secularity of most TV and radio programmes, the marginalization of faith in much state schooling and the conversion of Sunday into a day of shopping are examples of the ways in which Christian faith – and sometimes faith in general – is increasingly pushed to the margins. Other scholars, notably Grace Davie, have pointed to how Christian faith retains a significant purchase on British society, but the trend is clear. Brown and Bruce make untenable the notion that the traditional church and the traditional parish system remain in rude health. This is a serious problem for Davison’s and Milbank’s For the Parish. Their critique of fresh expressions has some force but makes no reference to the widespread decline of many traditional parishes, nor the disconnection between much of society and Christian faith. It is noticeable how many of the examples of good practice in For the Parish are drawn not from parishes but from cathedrals and Oxbridge college chapels, forms of Church at one remove from the realities facing most local churches and insulated, in part, from the chill winds of secularity by inherited resources and class structure. The period of history with which For the Parish most frequently quarries for examples is the middle ages – a period whose unquestioning acceptance of Christendom stands in stark variance with the culture of contemporary Britain. Brown and Bruce have a point (we will look at the flaws in their analysis later). They highlight the stark reality that inherited forms of Church and the parish system have declined markedly in recent decades and do not touch large swathes of people. In seeking a biblical analogy for the time in which we live, George Lings suggests the analogy of exile, moving from a culture in which being Christian was either a given or tolerated, to a culture that is mainly indifferent or hostile. Such an analogy may be unnecessary for Christians who have never known Christian faith as being widely accepted or tolerated. But the analogy of exile resonates in the Christian experience of many. Part of a right response to exile is repentance and the facing of judgement. The creation in Genesis 1 and 2 is followed in Genesis 3 by the fall of humanity, and that fall is a retreat from the possibility of directly experiencing divine love into stale expressions of self-love, idolatry. Recognizing the reality of human fallenness means we can be clear-eyed about the problems the Church in the West faces. Repentance starts with the Church, made up as it is of fallible men and women. Thus church decline is often explained as a consequence of how individual Christians and Christian communities are – the Church declines because of its many failings. It is so out of touch with culture, so uncaring towards the poor, so lacking in faith and so on. There is truth in this but also a strong tendency towards masochism in such analysis of the Western Church. Part of the cause of the current woes of the Church are its failings, but these have not suddenly got worse. If its recent decline is due to its sins, then presumably it was far less sinful when it was a lot bigger 150 years ago under Queen Victoria. The Church was numerically much stronger then, yet in a great many ways it was just as fallible – deeply enmeshed with power elites, often racist and often bound up with the wealthy. In some respects the current Church is markedly less sinful than it was in the nineteenth century. Blaming individual Christians and churches for decline is both a skewing of the truth and also pastorally damaging through its demoralizing effect. Churches need a less masochistic view of themselves. We might start by noting that when people abandon faith or refuse to consider it, this is by no means always or mainly the fault of the Church or of individual Christians. Faith is rejected for many reasons. In a deeply materialist culture, one key reason is consumerism. Moreover, in an age where business, media, government and academic elites wield great power, part of the reason for hostility to Christian faith is structural – a collective unbelief for which the elites are most responsible. Thus a recent analysis – made before the recent recession – of the worldview of Generation Y, current 15–25-year-olds, concludes that the dominant influences are consumerism, electronic media and globalization. This generation’s main aim is personal happiness, and they view the world as benign and life as ‘OK’. (Of course, this worldview is shared by many outside this age group and, to a large degree, Generation Y are mirroring the wider culture.) While the Church has much work to do to connect with Generation Y, it is important to recognize that its worldview is close to hedonism and largely indifferent to the needs of the planet. Generation Y’s rejection of or indifference towards faith can be seen as much the result of a sinful worldview as of the deficiencies of the Church. Breast-beating by the Church over its own sins obscures the need of all people to repent. This is not to let the Church off the task of working hard to connect with people, but it’s important to stop punishing it, as if secularization was all its fault. For one thing, it makes it sound as if we have only to find the right technique, or try harder, and all will be well – a new version of justification by works. By speaking thus, we act as if the grace of God had no part in the drawing of people to faith; as if individuals had no role in their own coming to faith – in short, we act as if it was all down to us. This is both arrogant, untrue and a recipe for a nervous breakdown. More deeply, it lets contemporary consumerism off far too lightly. A key reason why people have turned from God to wealth is the age- old problem of idolatry. Meaningful spiritual growth will happen not just by making Church attractive but by helping people repent. There is intriguing data suggesting that the more affluent a society becomes, the more secular it becomes. Thus the marked shift to secularization in much of Western and Northern Europe during the 1960s coincided with unparalleled affluence in the West. Oral interviews bring this out well: Jill Barker, from Preston, went to church until she married, but ‘When we got married we never bothered’, mainly because her husband worked much of the weekends and ‘I think we wanted to buy new things, didn’t we, and that were the thing: we wanted carpets and stair carpets and new furniture.’ One Lancastrian man put the issue succinctly: ‘It’s an odd thing about deprivation, but it does actually bring people together, far more than affluence does. Affluence, actually, I always feel, divides.’ Writing a few months after the 2011 riots across Britain lends this quotation added poignancy. Insofar as churches tend to decline in affluent countries (and there is strong evidence for this in Western and northern Europe), then they should beware simply of blaming themselves for this shift, not least because it allows the idolatrous worship of wealth to go unchallenged. Judgement, like repentance, starts with the Church before it goes anywhere else. It is a doctrine noticeable for its absence in much of contemporary Christian discourse. The love of God remains rightly central to Christian discourse, but a true depiction of God’s love is only possible when paired with a depiction of his justice. Part of any renewal of the Church will come with a fresh recognition that to reconnect with the love of God we must face God’s judgement – and the way, in Christ, he bears that judgement himself. A fresh depth of confession is a foundation for the refreshing of the Church. This will be clear-eyed, recognizing where Christians individually and collectively have gone astray, but also facing where the wider culture has become idolatrous. Join David Goodhew and the other expert witnesses as they are cross-examined by panellists including Paula Gooder, Graham Tomlin and Nick Spencer at The Parish: Has it Had its Day? , 9th October at 7pm at St Mellitus College, London. Tickets and more information available here . It’s Summer Sale time! 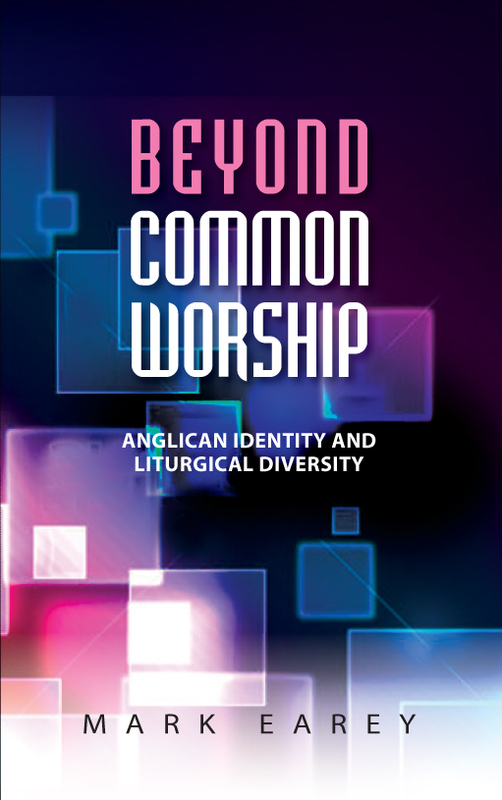 Amongst the titles on offer is Beyond Common Worship: Anglican Identity and Liturgical Diversity, by Mark Earey, Director of Anglican Formation and Tutor in Liturgy and Worship at Queen’s Foundation. The introduction of Common Worship services in the Church of England has gone remarkably smoothly, considering the immensity of the task. But despite its overall success, the sheer variety of material, coupled with the complex rules about what is and is not allowed, have left some parishes, clergy and Readers wondering if this is really the best way to produce good worship. A question such as, ‘How do we use Common Worship for a Messy Church service of Holy Communion?’ focuses the issue – but it is a question being asked in different ways in lots of different places. In the book, Mark Earey turns to the future, asking whether the framework of canon law, notes and rubrics within which Common Worship operates is any longer fit for purpose. In a mixed economy Church in which fresh expressions of church, alt.worship and new monasticism all sit alongside traditional parish churches, he asks whether it is time for the current rules-based approach to Church of England liturgy to make way for an approach based on trust and accountability. Such an approach would allow for more local flexibility and creativity, but raises big questions about how such worship can be truly indigenous yet authentically Anglican. You can hear a recording of Mark Earey talking about his book here. Throughout the Summer Sale, Beyond Common Worship is available at a special price of only £10.00, while stocks last. Browse a full list of titles available as part of the sale by clicking here.